Because the body cannot produce essential fatty acids such as Omega 3, 6, and 9, oral supplementation is highly recommended by healthcare specialists. Emu Oil Gel Capsules contain 100% pure emu oil which is considered to be the best and cleanest source of Omega 3, 6, and 9 essential fatty acids (EFA). 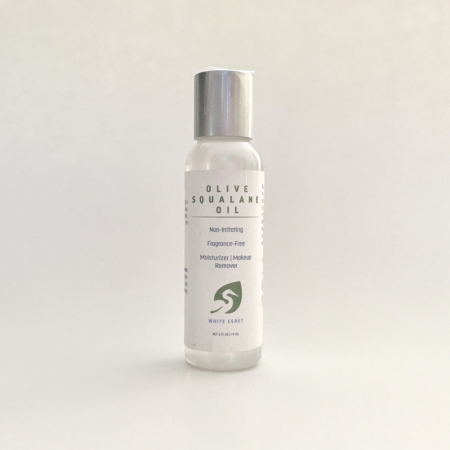 The body can quickly process and absorb 100% pure emu oil. Unlike fish oil, which may contain lead or mercury, EFA supplementation with Emu Oil Gel Capsules can provide a safer alternative. 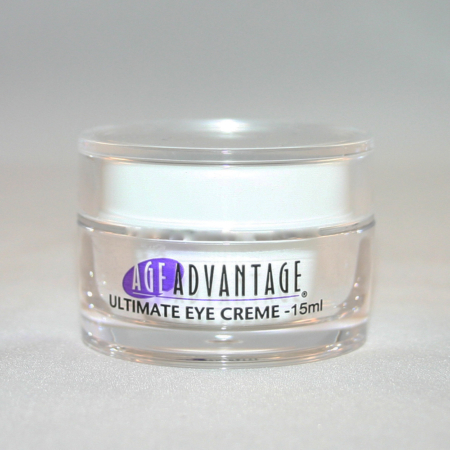 Just like our emu oil skin care, our Emu Oil capsules are the highest quality. 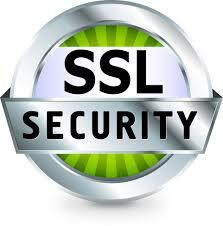 They can be taken to help prevent and reduce high cholesterol, and to lower high blood pressure and triglycerides. 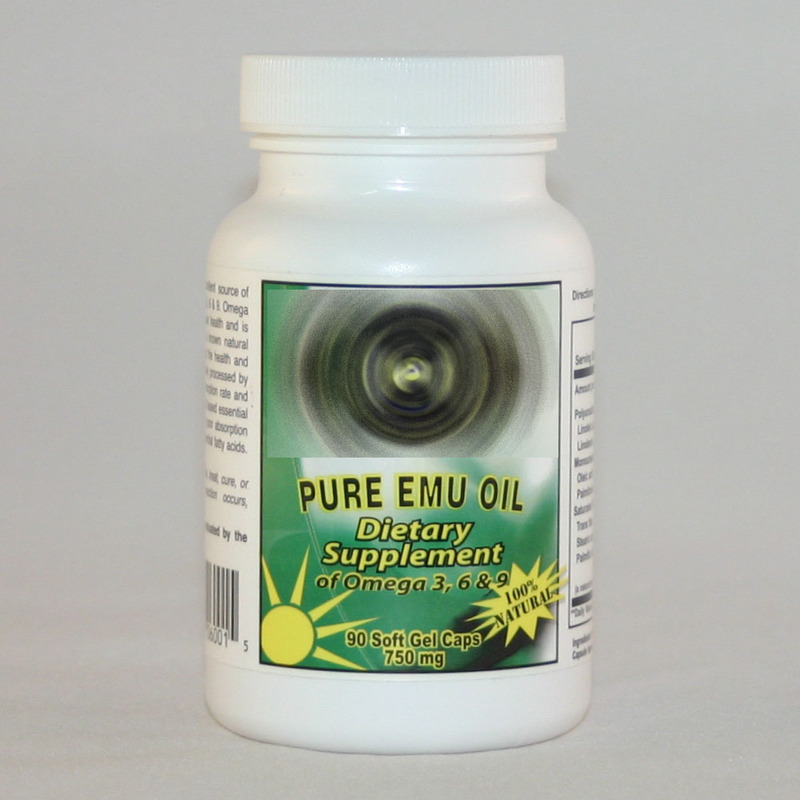 Taking emu oil supplements are also known to help calm chronic back or joint pain, ease psoriasis and eczema dryness, and can be a useful weight loss aid. EFA’s have been proven to stimulate the body’s metabolism and increase the body’s ability to burn stored saturated fats. The Omega 9 essential fatty acid is high in anti-inflammatory properties and produces a satiating response that provides a feeling of fullness. 750 mg. per gel capsule. -For Omega 3, 6, and 9 supplementation, take 3 gel capsules daily. -For pain (back, joints, arthritis), take 6 supplements daily. -For those with psoriasis or eczema, take 3-6 capsules daily. TIP: Applying topical emu oil on dry patchy psoriasis, eczema, scars or post-chemo skin can provide relief. Poke a pin into a capsule or two and apply onto dry skin patches and scars. Alternatively, see our 2 oz. 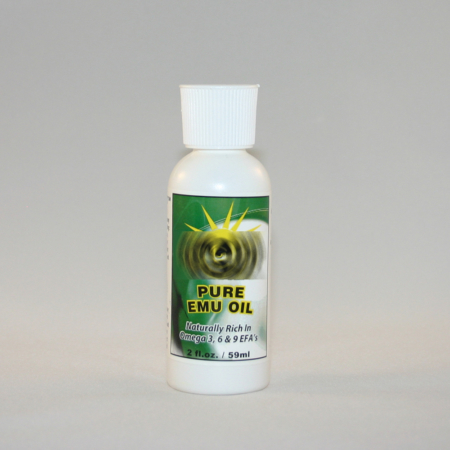 bottle of 100% pure emu oil. This product is not intended to diagnose, treat, cure or prevent any disease. 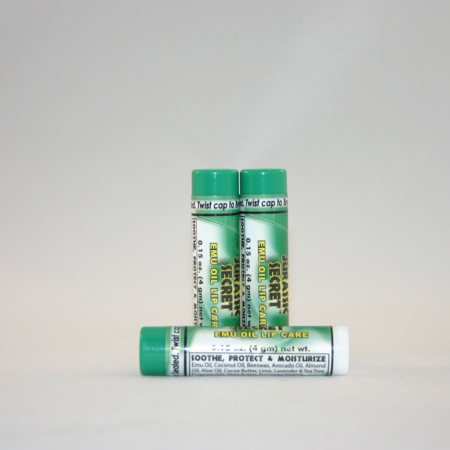 If an allergic reaction occurs, discontinue use.